State of the art facilities and tools for designing and engineering as well as continual internal investment allows us to provide you with the most up to date know-how on foundry technology and innovative equipment and processes. "...We chose Gemco as our engineering partner. They are highly professional, creative, think with us, and have a profound knowledge of the foundry business and technology ..."
"...Innovations start with people ..."
Foundry Logistics Simulation supports the engineering process in our more complex projects to determine the optimum foundry. 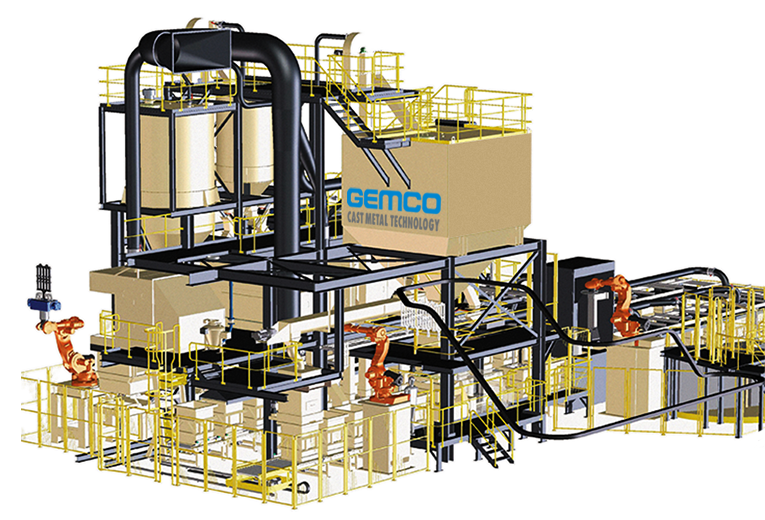 Gemco’s simulation engineers create 3D models that run the actual or future client’s production program, giving insight in the process flow, utilization rates, potential bottle necks and ‘what happens if …’ scenario’s. This 3D insight is not only static: it shows the running foundry that produces the customer's products according their production schedule. 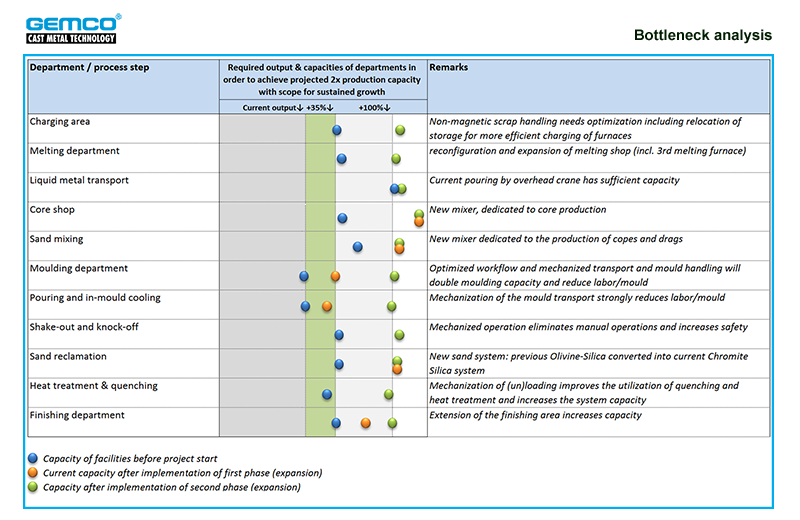 We have applied simulations on a wide variety of engineering challenges such as the design of a 100t-h scrap yard, logistical optimization in the production of 7 meter long railway crossings and the molten supply in a foundry with 10 continuous casting lines. The Foundry Logistics Simulation tool was developed in close cooperation with the Technical University in Eindhoven (TU/e) and the University Twente (UT). It has enabled us to realize the most efficient and reliable solutions for our customers.